We. Love. Brunch. If brunch was possible for every meal, we would probably do it - yes, we're mostly talking about bottomless mimosas. We just moved to Atlanta so our brunch game is not what it used to be, but we are working to get it back! 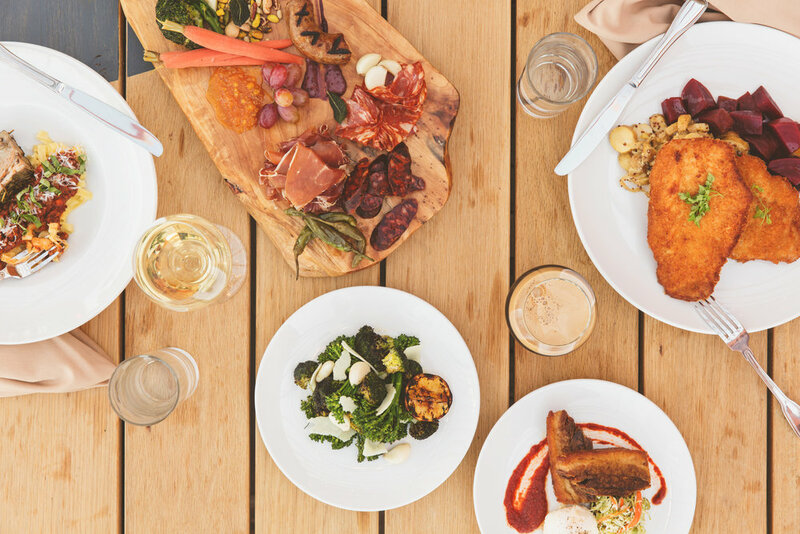 These are the top 5 places we cannot wait to brunch at in Atlanta, GA! This quaint, adorable, vibrant bistro has stolen our hearts! Bread & Butterfly is a French inspired cafe & bistro. They are open for breakfast, brunch, lunch, and dinner but we can't wait to start our day with their BURGER AMÉRICAIN, CAPPUCCINO, and display of French pastries. They only serve their pastries from 8:30am - 10:30am so you know we're going early! You know we had a throw a buffet in here, we're from Vegas! For $24.93 you can stuff your face with as much delicious biscuits and gravy, blueberry buttermilk pancakes, braised pork shoulder, and pumpkin cranberry coffee cake as you can handle! And that's only to name a few of the wide variety of options available to all brunch goers. This quickly made the top of our list with their all you can eat option - and the cocktails are calling our name! Our weekends just got a whole lot sweeter! Three words: Fried Chicken & Waffles. Ok, so that was four. But oh my goodness! We are in Georgia, how can you not indulge on chicken and waffles for brunch?! We plan on starting with the Pastry Chef's Basket of three house baked pastries because how are we humanly supposed to resist. Everything is made from scratch, they don't take reservations or serve parties larger that 6 so this small restaurant sounds like it gets packed, but for good reason! We can't wait to try it! Located on the rooftop of Ponce City Market in Atlanta's historic Old Fourth Ward this is the perfect brunch spot to truly soak in ATL! You have a beautiful city skyline view from the restaurant, what more could you ask for on a Sunday morning!? They are European inspired American dining with menus constantly changing based on what's in season and available. We're sold! Fresh, delicious, and unique? Yes, please! We can never say no to a perfectly done Eggs Benedict, house potatoes, bacon, and freshly squeezed orange juice in our mimosa. We will see you soon 9 Mile! Ok, so this one may not be on everyone's list of most unique brunches in Atlanta, but we had to add in our list! We drive by Egg Harbor Cafe almost everyday, it's right down the street and we can't wait to try it for ourselves. They serve the perfect breakfast classics including pancakes, waffles, eggs, scramblers and skillets. And they have their own twists on the classics such as Winter in Italy French Toast, Sam's Swedish Pancakes, and San Antonio Skillet. Don't say we didn't warn you when this becomes our new favorite neighborhood breakfast spot! Update: We finally got to try Egg Harbor Cafe! It was delicious! Literally met and exceeded all our expectations. Added bonus, their patio is dog friendly! Read our full review here! 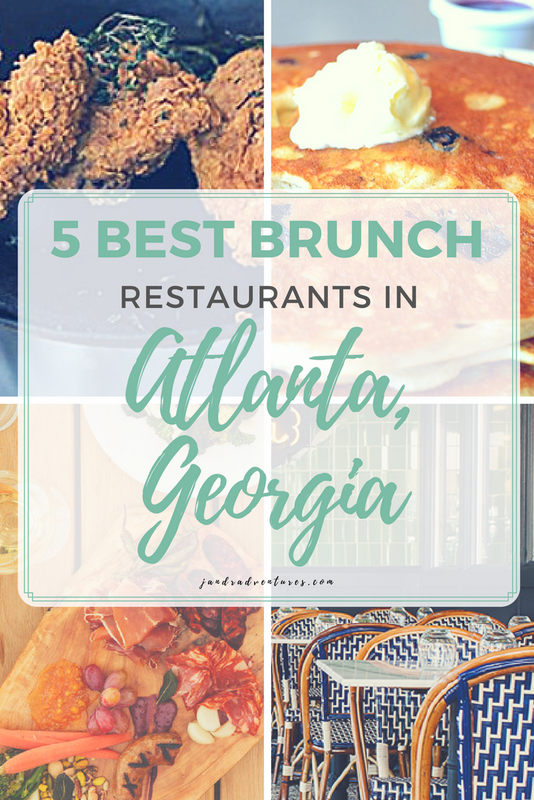 What are your favorite brunch spots in the beautiful ATL?! We have to add them to our list and it gives us a good excuse to have a few mimosas with our carbs, hello cheat day! Disclaimer: All photos used are from the restaurant's website, listed in the post.